Looking for a brighter smile this Valentine’s Day? Treat yourself to a sparkly white smile with Colgate Optic White Platinum High Impact White Toothpaste. This Colgate Optic White product delivers 4 shades, visibly whiter teeth in 6 weeks, starting in just 3 days*. I actually tried this and was quite impressed with my brighter smile! Self Disclosure: I received a free sample to facilitate this post. Images and Info were also provided. Burke Williams Offers Gifts of Love this Valentine’s Day with Special Gift Card Packages! Burke Williams offers gifts of love this Valentine’s Day with three special Gift Card Packages. Celebrate the season of love and treat loved ones to a transformative Valentine’s experience they will never forget. Each package includes a collection of Burke Williams signature treatments that are sure to make loved ones feel appreciated and adored. Packages are available now at all ten spa locations. Standard packages are listed below, prices vary by location. Give a gift “With Love” for $150 (valued at $200), includinga 50-minute Pure Relaxation Massage or 50-minute Spa Style Facial with two enhancements of choice (excluding eye lift), and a $25 H2V Skincare bonus gift card. Share a gift “From The Heart” for $250 (valued at $325), including a 50-minute Pure Relaxation massage with an enhancement of choice, a 50-minute Spa Style Facial with an enhancement of choice (excluding eye lift), and a $25 H2V Skincare bonus gift card. Enjoy “Love Always” for $350 (valued at $445),including an 80-minute Pure Relaxation massage and an enhancement of choice, an 80-minute Spa Style Facial with an Advanced Eye Lift Enhancement, and a $25 H2V Skincare bonus gift card. Gift Card Packages are available at all Burke Williams spas, prices vary by location. For information on Burke Williams and to find a spa near you visit www.BurkeWilliamsSpa.com or call 1-866-239-6635. Self Disclosure: Some form of compensation may have been received to post. Credit: Burke Williams. Win, Win, Win from Tree Hut! Talk show host, Ellen DeGeneres, recently announced her favorite products for fall — and Tree Hut’s Shea Sugar Scrub was on the list! 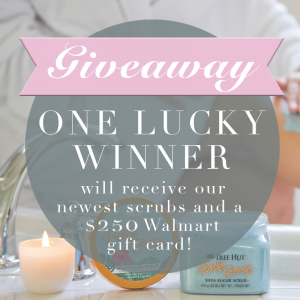 Would you like to have a chance to win Tree Hut’s end of year giveaway – a scrub haul + a $250 Walmart Gift Card? Sounds pretty great to me! Consumers have to @TreeHut on Instagram and click the link in their profile to enter their email! Hurry, the giveaway ‪ends December 28th! The winner will be posted on @TreeHut’s Instagram Account and is for US only residents! I recently had the chance to try out some of their products and love them! My favorite is the Tree Hut Shea Moisturizing Body Lotion in Tropical Mango! It smells great and leaves my skin feeling hydrated! Tree Hut’s Shea Sugar Scrub is pretty terrific too! Self Disclosure: I received free samples to facilitate this post. Images and giveaway info was also provided. No compensation was received to post. SoCal City Kids is not affiliated with the giveaway. Here are some of my favorite beauty items this Holiday season! They would also make great stocking stuffers! Colgate Optic White Stain-Less White toothpaste! The Colgate® Optic White ® Stain-Less White™ Toothpaste helps remove those unwanted dark stains caused by coffee, wine & soda, with continued use. It starts working in 3 days. · This formula is professionally designed with Hydrogen Peroxide for deep set stains removal. · In addition to being safe for daily use, this product protects your enamel and contains anti-cavity fluoride protection. I love these fabulous Hair Products from COTY products! I love how well these really work! My hair stays in place and doesn’t feel totally stiff! They would also be great as stocking stuffers! Find out more here! You can find them online and in many stores such as Walmart! I love these products from the Wella Professional line up! 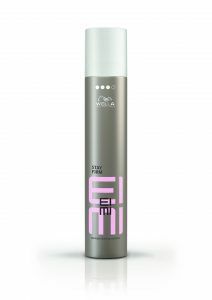 My favorite is the EIMI Perfect Me because it is lightweight and adds shine to my hair! Self Disclosure: I received free samples to facilitate this post. Images were also provided. No additional compensation was received. Looking for a great body wash for the whole family this Winter? Kiehl’s has you covered! Since Kiehl’s humble flagship store on Pear Tree Corner in New York, Kiehl’s has been honored to serve its global communities for 167 years. Inspired by Kiehl’s original mission, new “Made For All” Gentle Body Wash is a gentle cleanser for the whole family (ages 3 and up) to enjoy. 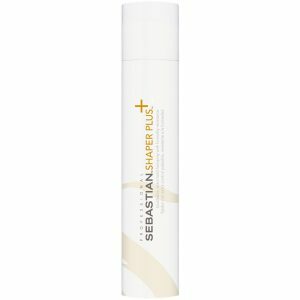 I love that this is one that the whole family can use and it’s perfect for dryer skin this Winter! I have been using it for weeks now and it doesn’t leave my skin feeling dried out. I also like that it is gentle and that it is also perfect for young children! Kiehl’s Made Better™ is a new brand platform that connects Kiehl’s ongoing efforts in sustainability through formulation, packaging, manufacturing and recycling, and community commitments, to the aspirations of Kiehl’s customers in an authentic and differentiated way. Its five pillars are Naturally Derived Ingredients, Sustainably Sourced, Recycled Materials, Responsible Packaging & Manufacturing, and Kiehl’s Gives. For more about Kiehl’s Made Better™, please visit Kiehls.com/made-better. Formulated with Sustainably-Sourced Aloe Vera and Soap Tree Extract, the wash is formulated with 95% naturally derived* and 100% biodegradable ingredients. The refreshing formula keeps families clean, while the packaging, made with 100% post-consumer recycled materials helps keep the planet healthy. Look for it at Kiehl’s! Self Disclosure: I received a free sample to facilitate this post. Images were also provided. Looking for the perfect gift for your Mom this Holiday season? Burke Williams Spreads Joy This Holiday Season with Exclusive Gift Card Packages! These will be a hit with your loved one! Looking for the perfect gift for Mom? Or maybe you’re looking for the perfect gift for your wife? Burke Williams is my favorite Spa and they have some exclusive gift card packages that are sure to be a hit with your loved one this holiday. Burke Williams offers rest and sanctuary with luxurious spa days that can be curated to bring ultimate comfort, wellness and peace. Packages include a variety of signature Burke Williams relaxation and beauty treatments including massage therapy, facials, manicures, pedicures and custom enhancements like hot stones and aromatherapy. I love visiting because I always feel like I’m away from the hustle and bustle yet I didn’t have to go far away. All holiday gift card packages can be customized to include specific Burke Williams signature services and enhancements, or gifted simply as the amount so that the recipient can select their own services to renew and refresh. Gift certificates are available for purchase at all Burke Williams locations and online to print at home or email directly to your gift list. Burke Williams will transform this holiday season with the gift of joy. For information on Burke Williams and to find a spa near you visit www.BurkeWilliamsSpa.com or call 1-866-239-6635. Self Disclosure: I received 3-day spa passes to facilitate this post. Images were provided. No other compensation was received and I honestly am a big fan of Burke Williams. 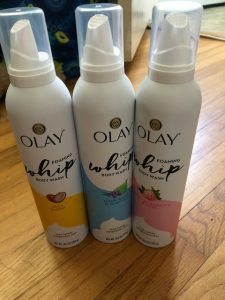 Olay Foaming Whip Body Wash is a Must-Try! This breakthrough shower foam will change everything you think you know about foaming body wash. While other foams quickly dissolve into a watery solution that washes down the drain, Olay Foaming Whip lathers instantly into a thick and luxurious foam that literally deﬁes gravity. Where other foams fall, Olay Foaming Whip ﬂips. The difference A ﬁrst-of-its-kind foam that envelops skin in a rich lather for maximum product on skin, maximum in-shower delight. I like that this one really goes on smooth and washes off so easily! It’ lightweight and I love the different fragrances. My favorite is the White Strawberry & Mint. It is also available in Shea Butter and Birch Water & Lavender. Fall Beauty Must-Haves from Rimmel London! Fall is almost here even if it still seems like Summer! Here are some new beauty must-haves from Rimmel London! 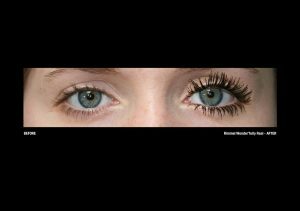 Wonder’fully Real Mascara is my new favorite to-go-to Mascara! It really makes my eyelashes look fuller! I like the brush on this one and I love that it is affordable! Retails for around $5.99 and easily found at Target and other retailers. Another Beauty Mut-Have this Fall is the Lasting Finish 25HR Breathable Foundation. This foundation is the lightest long-lasting formula available on the mass market. This special formula builds and blends with ease to ensure a flawless canvas with every application. I love that it really does last throughout the day and looks fresh and that it is sweat and water resistant. It also has SPF 18 to help protect your skin during the day. It has a built-in ergonomic cushion applicator that I really like too. This one is also quite affordable at $7.99! Self Disclosure: I received free samples to facilitate this beauty post. Images were also provided.